Former Central Michigan athletic director Dave Heeke will be Arizona’s new vice president of athletics, pending Arizona Board of Regents approval, the school announced Saturday. Heeke, who held the AD job at Central Michiagn since January 2006, will replace Greg Byrne, left for Alabama earlier this year. Heeke previously spent 18 years at Oregon, where he rose to become the senior associate athletics director/chief of staff. 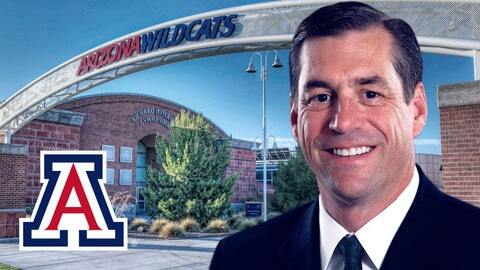 “I couldn’t be more excited to be part of the Arizona Athletics family. It is truly an honor to be named the new Vice President for Athletics and have the opportunity to return to the prestigious Pac-12 Conference,” Heeke said in a statement. “I want to thank Dr. Hart and those involved with the search process for their confidence in my ability to lead one of the premiere athletics departments in the country. This program is about excellence and we will continue to focus on achieving at the very highest level athletically and academically, while creating the finest experience in the country for our student-athletes. I also want to thank all of the terrific people at Central Michigan University who have been so wonderful to our family during my time in Mount Pleasant.